Using a stereoscopic projector and the Kinect camera, real objects are rendered digitally in a 3-D space. What humans can accomplish with a gesture is amazing. By holding out a hand, palm forward, we can stop a group of people from approaching a dangerous situation; by waving an arm, we can invite people into a room. Without a touch, we can direct the actions of others, simply through gestures. Soon, with those same types of gestures, we’ll be directing the operations of heavy pieces of machinery and entire assembly lines. Manufacturing workers are on the verge of replacing the mouse-and-keyboard-based graphical user interface (GUI) with newer options. Already, touchscreens are making great inroads into manufacturing. And in many locations, the adoption of other natural user interfaces (NUIs) is expanding to incorporate eye scans, fingerprint scans and gesture recognition. These interfaces are natural and relevant spinoffs of the type of technology we find today in video games, such as those using Microsoft’s Kinect. In the gaming world, gestures and voices are recognized by Kinect through an orchestrated set of technologies: a color video camera, a depth sensor that establishes a 3-D perspective and a microphone array that picks out individual players’ voices from the background room noise. In addition, Kinect has special software that tracks a player’s skeleton to recognize the difference between motion of the limbs and movement of the entire body. The combined technologies can accurately perceive the room’s layout and determine each player’s body shape and position so that the game responds accordingly.One can expect to see NUI applications working in every industry imaginable—from health care to education, retail to travel—extending user interactions in multiple ways. NUI technology is of particular interest to the manufacturing industry. For instance, when a worker logs on to a machine, instead of clicking a mouse and entering a personal ID and password on a computer screen, the user will look into a sensing device that will perform a retinal scan for identification. Then, just by using hand gestures, the identified worker can start a machine or, with an outstretched hand, stop it. The machine may ask for the employee to confirm the requested action verbally, and a simple “yes” response will execute the command. Avatar Kinect replicates a user’s speech, head movements and facial expressions on an Xbox avatar, and lets users hang out with friends in virtual environments and shoot animated videos to share online. NUI technologies can improve ways to move products across assembly lines, as well as to build them on an individual line. For example, if a batch of partially assembled components must be transferred to a pallet or another machine, the worker can use a gesture to designate the subassemblies to be moved and the location of their destination. Safeguards can be built into the NUI system so that unrelated movements or conversations in the plant do not accidentally initiate a command. Each machine will know who is logged in to it and will respond exclusively to that individual’s motions and voice. The computer could even be set to shut down automatically if its “commander” is away from the station for more than a selected period of time. • Employees who must wear gloves on the job no longer need to remove them to operate a keyboard, so they can carry out their work and react to situations more speedily, resulting in higher productivity, faster throughput and higher safety in the workplace. • Those who work in areas that contain considerable dirt, dust and grease know that touchscreens quickly can become smudged and difficult to view. With gestures, the screen can remain clean. 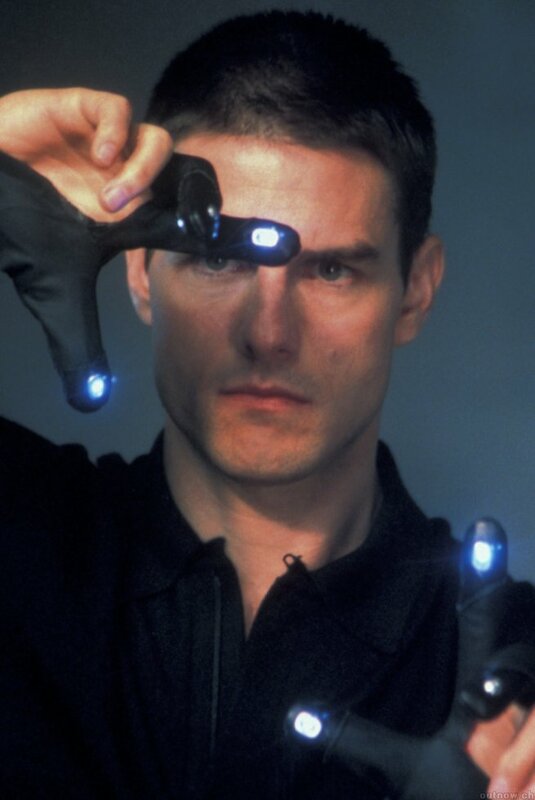 Using the gesture-based NUI in these situations also reduces the spread of contagion and therefore improves health and productivity on the job. • When computers remain cleaner, because they are touched only infrequently, the manufacturer can cut costs significantly. The screen and other computer components require less maintenance and repair, and elements such as a keyboard are no longer required investments. Microsoft Dynamics is taking a lead in incorporating NUI technologies into its offerings. The Microsoft Dynamics AX 2012 enterprise resource planning solution offers a touch-based user interface for the shop floor, and independent software developers are working on gesture-based interfaces to provide touchless commands. The first generation of gesture-based equipment will soon be installed in plants that manufacture heavy equipment, such as cars and large machine tools. Dirt and grease in such facilities can cause substantial problems for conventional computer control units. NUIs also are expected to become popular in such difficult environments as cold rooms, where workers must wear heavy gloves, and pharmaceutical and food-processing plants, which require exceptional levels of cleanliness. In the near future, we might see systems that can track the eyes of workers to anticipate the next command. And, soon, NUI interfaces will enter the office environment, where the productivity and cost-effectiveness they offer will be just as important as they are on the plant floor. With such widespread applications, voice- and gesture-based interfaces are certain to usher in an era in which interacting with technology becomes easier, faster and less costly. A starting list with150 providers in digital signage industry. Hardware and display manufactures, software and application developers, content creators, management and hosting service providers, communication and measuring tools. Comment to improve the list with companies to add or wrong links and names to correct. Media management software with an easy to operate, web interface for fast and convenient scheduling and delivery of media. iPhone-style touchscreen software for hotel, shopping mall, hospitality, and retail industry. Schedule, manage and deliver location-specific playlists across multiple screens and locations using an easy web-based tool. Flexible, user-friendly digital signage (App and SaaS) and interactive kiosk solution. Admira helps organizations improve customer interactions by delivering unique digital signage solutions. Complete line of digital signage solutions, thoughtfully designed to fulfill the unique requirements of nearly every application. A multi-user, hosted digital signage solution for small to mid-size businesses. Ideal for hospitals, campuses and corporate settings. A fully functional Digital Signage management service that provides the user with the ability to manage, enhance, schedule, and design. Provides a multitude of ways to let you accurately track events within your workflows. Create and schedule content on a network of digital displays. It offers full functionality, ease-of-use, for a low one-time cost that is unrivaled in the digital sign industry. All-in-one, integrated hardware/software solution. Easy way to set up high-impact signage without any ongoing licenses or fees. Covers all aspects of network management: efficient selling of ad space, campaign scheduling and performance reporting. SaaS Solution. Provide custom integrative services for digital signage projects. With unique applications for advertising, corporate displays or commercial messaging and entertainment venues. Integrated delivery system for television, corporate communications, educational institutions, digital signage, and hospitality. Content management, Display integration, content creation, interactive applications. CAYIN Technology offers a complete portfolio of digital signage solutions including media players, servers, and software. Complete package including hosting, digital media players, A/V distribution, management software and content creation. Providing high quality, cost effective IT solutions. Design and produce tailor made software for Digital Signage campaigns based on face-to-face customer interaction. Innovative mounting solutions and helpful online tools that are ideal for digital signage. Complete digital signage solution with easy and efficient management, appealing multimedia presentation. 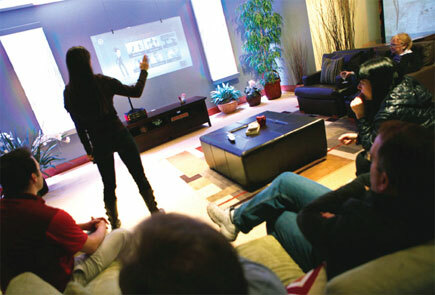 A low-cost informational display video system that enables you to display your message anywhere there’s a television. Web-based media management, webcasting and video sharing, digital signage, and business IPTV applications. DMB delivers customized digital content across the enterprise network and schedules deliveries to suit you business needs. Award winning Digital Signage Software designed for enterprise level ‘data’ driven digital signage networks. Multi-channel message management platform that controls a network’s content and infrastructure, closing the loop between digital signage, mobile, web and social media within a venue. Easy-to-use software for interactive signage for meeting rooms, desks and reception areas. Drag and drop software to manage content delivery and scheduling to one or more remote screens. Secure Cellular broadband services, configurable for back-up and for multi-WAN connectivity for digital signage networks. CoolSign targets dynamic messages delivered to your audience at the right moment to influence behavior and generate results. Enables development of centrally managed networks of displays, targeted to support all types of advertising campaigns. Web based software to create, preview, schedule and deliver digital content to remote signage screens. Manufacturer of custom embedded computing systems. Offering all-in-one touch screen and computer solutions to stand-alone devices. The purpose of the DSA is to advance the growth and excellence of the global digital signage, interactive kiosk and mobile community through advocacy, education and networking. RemoteTransfer is the leading web-based content management system (CMS) for Digital Media Networks / Digital Signage. Complete design and distribution environments for your digital signage system with real time dynamic presentations. Software to manage digital signage content, screens, banners, and playlists from a single remote location. Extensive selections of digital display solutions from super slim LED displays, to digital cosmetics displays, and even LCD touch screen kiosks. The ideal way to reach information-hungry audiences, allowing the creation of screen networks showing messages relevant to the viewer. Digital Signage Technology and Solution Provider. Totally new marketing information system encompassing dynamic real time advertising and civic information broadcasting. Software as a service with digital signage, audio diffusion and proximity marketing to easily create, manage and deliver content. Completely scalable digital signage solution – from both the number of screens per location and the number of locations perspectives. HelloSign is a management suite for digital signage applications. from ET Media, a leading provider of embedded media software. Create, integrate and schedule content on plasma, LCD or other displays with a web-based interface. F-PC is a powerful digital signage device. A dynamic embedded CPU drives your digital signage display. a full-service Interactive Digital Signage (iDS) software platform for a flexible, reliable, easy to use digital signage network. Digital Signage Software – developed over the last 7 years, with more than 15.000 friendlyway systems have been installed. Powerful, flexible solution for delivery, scheduling, and management of media to communicate advertising, news and other information. Backend infrastructure solutions like switchers, splitters, converters, scalers, extenders. Content creating software and high-definition Media Players. Digital signage and presentation software, stand alone or remote deployment. Complete digital signage solutions and certified hardware configurations optimized for smooth and reliable operation. User Interface and content ,touch enabled displays, media Servers, design fixtures, network connectivity. Disk-Size SBC, Mini-ITX and embedded systems that support superior graphic and multi display functions. Software that will allow a central computer to control the content being displayed on any screen within a designated network. All in One Box product to deploy Digital Signage Networks in-store technology. Maintains and operates the largest digital signage network and is the leading provider of digital media solutions. Zoom Player is the most Powerful, Flexible and Customizable DVD and Media Player for the Windows PC platform. Software that allows users to use touch or drag and drop interfaces to manage content creation and delivery for remote digital screens. AreaMedia is a powerful application for presentable information distribution & automatic display. A revolutionary user interface with true drag and drop functionality for displays as well as vibrant motion graphics. Digital Signage and Interactive Kiosk Software, Hardware and Services provider. Offers anyone with the responsibility for digital signage the tools they need to control, schedule and content distribute content. KiSpring offers an entire suite of products to manage and deploy your digital signage and kiosk solutions. Mac compatible software to create, coordinate and play digital content on one or more remote screens within one master program. A full-featured customizable broadcast automation platform: multi-format gapless playout, scheduling, time shifting and more. iptv, digital signage, media monitoring, broadcast monitoring. Displays menus while simultaneously drawing customers’ attention to other information, like current store promotions. A single-administrator solution capable of managing a network of up to 400 Players via private LAN or public internet. Software to manage digital display settings remotely using a graphic-based interface, usable on PC or Mac computers. Manages self-service applications and content delivered through kiosks, digital signs, PC terminals and other devices. SaaS digital signage and content management offering designed for small to medium organizations. Windows software to manage image content and delivery for a network of remote screens or for individual screens. Tools for managing digital signage networks including graphical displays as well as traditional alpha-numeric LED displays. Windows application designed to monitor a collection of Net-Top-Boxes (NTBs) and is recommended for any network of more than five NTBs. Leading supplier of retail signage software. P.A Technologies serves customers with a comprehensive range of in store solutions. Content distribution that reaches every level – schedule and deliver your message to your targeted audience whenever, wherever. Interactive units combines elements of a kiosk with digital signage. Web-based media management software – centralized, granular control for advertising and promotional content across an entire network. The most user friendly Digital Signage product in the market for managing an unlimited number of screens and locations. Software designed for restaurants to keep track of current orders and items in real time and generate reports and histories. Next generation digital signage that powers many of the fastest growing marketing, advertising and corporate communication networks. ReflectNet, from Reflect Systems, provides you the media creation, management and distribution tools to meet your business and IT needs. Development, installation and maintenance of their signagelive Digital Signage networks. Offers the full cycle of software development «from scratch to final product» for all platforms. Provides two automated audience measurement SW products. SceneStudio is an easy-to-use digital signage application optimized for use in a single location, like a corporate or hotel lobby. A web-based content management system for digital signage that brings live data, custom messages, and content to thousands of displays. CampaignManager is used to power global digital signage networks delivering billions of advertisments and multimedia notices each year. Display a mix of media and targeted information that can be shown on LCD, LED, Plasma and PC screens in offices and public areas. Professional complete line of LCD and Plasma displays for commercial applications.Offers displays with integrated content management system over IP. Communicate your message locally or around the world, to both employees and customers, all from a central location. Developed particularly for continuous operation of digital displays. Promo channels, point of information, corporate or in-store, etc. Provider of interactive, Internet-ready, fully integrated touch screen kiosk systems. World leader in cloud-powered media delivery solutions, providing a platform that runs even the largest retail networks reliably, efficiently and cost effectively. A complete and easy-to-use digital signage solution for small business. Software to manage digital content, as well as its scheduling and delivery to remote screens, and track usage and compliance. Turnkey digital signage solutions designed to let anybody create engaging, high-quality programming right out of the box. Smartvm offers quality digital signage products and digital signage hardware and software for dynamic digital signage solutions. Internet based digital signage solution helps you communicate effectively and powerfully with your visitors and employees! Support the most challenging video-on-demand, iptv, software push, data replication or digital cinema applications. Provides a wide range of digital display technologies and formats, network media players and software applications. Full-featured database to track multiple formats, traffic interface to commercial and in-house traffic systems, satellite control, etc. Offers solutions integration, bundled offerings, pre and post-sales support, training, webinars, Hardware, Software,Design and full installation (configuration and logistics) and more. Digital signage solutions for use in theme parks, arenas, cinemas, universities, financial institutions, corporate lobbies and more. Deliver the advantages of cloud-computing using the unique combination of 3G/4G Cellular connectivity and a SaaS-based content management system to control digital signage networks. Full featured web based digital signage system that goes to work right out of the box. Broadcast Automation, Multi-Format Video Playback Servers, and Instant Replay Machines. Get your message out there; Digital Signage is the solution for getting your message to the masses. SkyScraper is a highly convenient and efficient platform for content distribution via any digital broadcast medium. Designed to make digital signages truly dynamic, help increase stickiness, impact, recall and thus deliver higher ROI to clients. Leading provider of real-time, automated audience measurement solutions. Using advanced imaging systems delivers accurate viewing measurements for out-of-home advertising. For 1, 100, or 1,000 players UCView’s robust system will provide the accurate, modular, scalable results for your digital signage network. Mobile network video solutions enable live video over IP from anywhere at anytime. User friendly Interface for design and management based on Cloud Computing Technology and Linux-based media players. Our DVM suite allows you to create, import and manage your visual communications from any Web-enabled device. An automated web based platform for digital out-of-home media including management, ad delivery, billing, payment, and reporting system. Developed by NEC Display Solutions. A complete digital signage solution used by organizations to schedule and manage content for multiple displays. Systems integrator focusing on wireless solutions. Design, engineer, deploy and manage wireless infrastructure specific to Digital Signage Networks, Kiosk Networks, POS, ATM, Vehicle Solutions. Software, hardware and comprehensive services for every digital signage, interactive kiosk and retail media project. Free web based software that allows users to broadcast video content to remote screens over a specific network of computers. Create digital signage using a standard PC. Projects work as independent applications easily transferrable to any number of computers. Designed to be installed in retail or store locations, banks, sport venues, movie theaters or anywhere you want to convey a message. Sophisticated, web-based media management and distribution system. Schedule and distribute audio and video content in retail settings. Software to manage song display screens specifically for churches and places of worship, complete with Bible integration. If you represent a digital signage software company, implementing a software as a service approach to your offerings can be very beneficial. Utilizing “the cloud” hosted approach in any business scenario can be an excellent source for recurring and residual revenue. Interestingly, such an approach also holds other benefits as well, including overall cost reduction, easy scalability, opportunity for innovation increases, easier case-by-case implementation, greater capacity, and better security. Simply put, cloud computing is paid in increments in an as-you-use fashion. As a result, the need for up-front cash to purchase expensive servers is eliminated. For most digital signage networks, “the cloud” method has some overwhelming advantages. Using a SaaS (software as a service) model for digital signage simply allows for lower information technology costs, increased economies of scale, and payment is required on an as-used basis only. In the absence of a SaaS solution, you and you alone are responsible for purchasing and maintaining servers, housing them securely, and installing and maintaining the software. This alone would often require the full-time efforts of reliable IT personnel–a cost that most would rather expend on the “core competencies” of their business. In addition, when service fees are charged on a metered basis, it means you only pay for what you use, saving you valuable resources in the long run. Finally, cloud computing means you benefit from multi-tenancy. Multi-tenancy is the use of many different applications from multiple clients being used on the same unit of software. 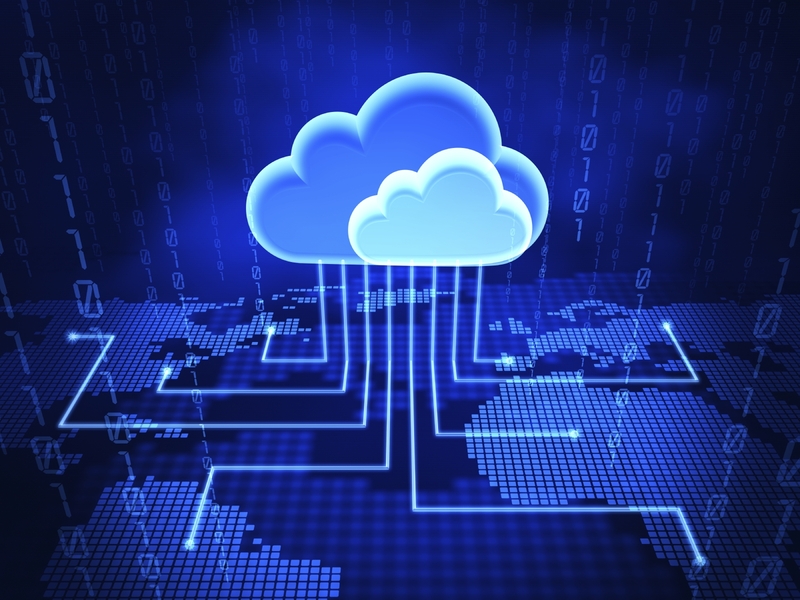 Accordingly, efficiency is the name of the game when it comes to cloud computing. Similarly, cloud computing allows for scalable network growth. For instance, as your network grows your space on “the cloud” can grow accordingly. Scalable network growth can be crucial for smaller advertising networks to grow on an as-needed basis. For smaller “bootstrap” digital sign networks, a SaaS solution is often crucial for slow growth. As hardware is incrementally added to the cloud, the server usage can be readily enlarged so that throughput under an increased load does not slow or otherwise decrease server efficiency. Signage companies can store and schedule much more data on “the cloud” than most individual server networks could otherwise. This may seem somewhat obvious, but is vastly important when we start talking copious (I love that word) amounts of HD video that could be housed for deployment to your network. With helpful tools such as file-recognition software and role-based administration, you can also more easily ensure that redundant data is avoided. This again increases efficiency and even more server capacity. When server updates are not a chief concern of network operations personnel, innovation in other areas can become a primary focus. It’s a simple issue of core competency focus that applies to Adam Smith’s theory of the “Invisible Hand”: “If I focus my time on my core competencies and you focus your time on those things you do best, the community as a whole benefits.” No longer does the organization have to spend time working on a server, scrambling for updates and working on maintenance. That is taken care of by the cloud managers, allowing for more innovation within your own organization. Keep in mind, this not only applies to innovation, but also to the other workings of your enterprise. Freeing time otherwise spent on digital sign server maintenance to focus on what you do best, will increase your productivity and profits across the board. It may be even more obvious to go over how general security of a network is important in digital signage. However, it may be very important to point out how SaaS can be beneficial in such an instance. For starters, having all the information on the cloud reduces the need for annoying redundant security testing at multiple sites, cutting the overall cost of security testing for passwords, and cracking substantially. Second, having all your data in one central location reduces data leaks and losses. Instead of caching data on various smaller devices, where data control and disk encryption standards often aren’t enough, you can rest more easily with the data on the cloud. Boy, does that sound “big brother” or what? But, in reality, it’s very true. Redundant server farms for hosting large and small digital signage networks, complete with role-based administrative access will truly provide ease of use for huge and minuscule networks alike, giving more opportunities for growth and expansion for others wishing to start their own digital signage advertising network. Otherwise, they will be consigned to purchasing, managing, and monitoring their own servers–a task that can take time away from other important matters, like expanding the size of the network in general. Who wants to be blamed for slowing network expansion? DigitalSignageToday.com turned to a variety of industry figures for their predictions on what to expect when you’re expecting to work in digital signage in 2012. 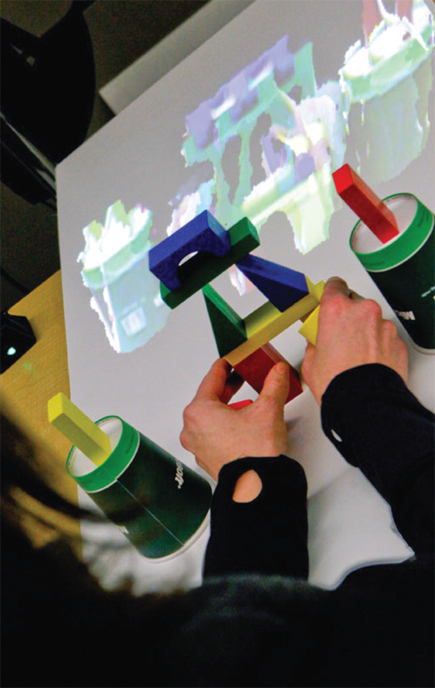 Interactivity will become the norm, several unique configurations such as the touch table move into the market. Audience analytics will become more commonplace to evaluate the performance of a system. Places where people gather or pass by in numbers, will monetize their displays through various advertising options. 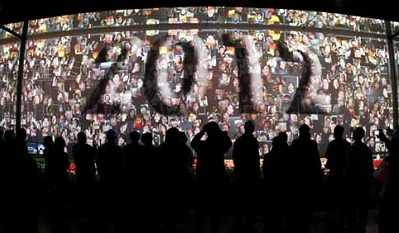 Consolidation and partnerships taking shape in 2012 to help mature the industry into more of a mainstream media. Retailers will continue to refine their one-on-one relationships with consumers through kiosks using digital signage. Special deals through Facebook or Twitter — or using a smartphone to scan a digital sign for coupons or other promotions. Use of digital signage to eliminate printing costs related to in-store advertising and sales, and time loss reacting to market pressures in minutes instead of weeks. Advertising and marketing will adopt the medium to see how it fits into their plans for clients. But they will choose what they need, not the industry as a solution. Many organizations simply don’t need all the bells and whistles that the industry can provide. forcing buyers and end users to question the need and seek alternative forms of engagement that may be cheaper and outside the realm of the industry. customers encouraging advertisers to fully utilize the power of digital billboards. more use of conditional content (based on triggers like the weather, sports scores, stock quotes, etc. ), ads integrating RSS feeds and campaigns that truly take advantage of the technology. Network deals, particularly large networks, should step up a notch in this year. Many more deals will come together, several of which may be surprising. Some combinations will be strategic, while others will be born of desperation or convenience. Transformation in the media planning/aggregation/DSP arena, as agencies, networks and advertisers sort out how to face off against the DOOH space. Entry of new players into the digital signage space, even as established players are absorbed or simply disappear. Brands and their agencies are beginning to recognize that the last mile of a multichannel promotional campaign might best be relegated to digital signage networks. Scale attracts big players, media companies, private equity, brands and online powerhouses turn some attention to DOOH. Rapid drive of broader-range environments that are finding that they must “bid, compete” for people’s time and attention.Waiting areas, call centres,support organizations, manufacturing operations, offices. The beginning of industry consolidation in every segment including channel partners. Too many companies — in every segment — losing money because they have poor process control or the signage area is simply a sideline activity and not part of the company’s main business venture. The weak, undernourished, under committed organizations will be displaced or absorbed by the industry’s most refined and focused companies. The digital signage ecosystem will become even more prevalent as a theme for the industry. Signage overall is becoming much more sophisticated and intelligent. It’s tying into the marketing array more closely and delivering better data to allow more intelligent choices for companies when planning their digital marketing. Η Ειδική Γραμματεία Ψηφιακού Σχεδιασμού του Υπουργείου Ανάπτυξης, Ανταγωνιστικότητας και Ναυτιλίας και η εταιρία «Ψηφιακές Ενισχύσεις ΑΕ» ανακοινώνουν την ένταξη 403 νέων επενδυτικών σχεδίων στη δράση «digi-retail», η οποία αφορά στην αξιοποίηση των νέων τεχνολογιών στον τομέα της λιανικής. Τα 403 νέα επενδυτικά σχέδια που εντάσσονται, έχουν συνολικό προϋπολογισμό 18,93 εκατ. ευρώ και η συνολική επιχορήγηση που εγκρίθηκε (δημόσια δαπάνη) ανέρχεται σε 11,23 εκατ. ευρώ και προέρχεται από πόρους του ΕΣΠΑ 2007-2013. Ο μέσος προϋπολογισμός των επενδύσεων σε νέες τεχνολογίες ανά εγκεκριμένη αίτηση ανέρχεται σε 46.976 ευρώ και η επιχορήγηση αγγίζει το 60% της επένδυσης. Οι εγκεκριμένες επιχειρήσεις, εφ’ όσον το επιθυμούν, μπορούν με την έναρξη του επενδυτικού τους σχεδίου να λαμβάνουν προκαταβολή ύψους 35% της δημόσιας επιχορήγησης που τους αναλογεί, βάσει όσων προβλέπονται στους Οδηγούς της δράσης. Τα επενδυτικά σχέδια που έχουν ενταχθεί στη δράση «digi-retail» από τις αρχές Ιουλίου έως σήμερα ανέρχονται σε 667 και έχουν συνολικό προϋπολογισμό 30,7 εκατ. ευρώ. H αξιολόγηση των επενδυτικών σχεδίων ξεκίνησε από τις Περιφέρειες του Επιχειρησιακού Προγράμματος «Ψηφιακή Σύγκλιση» (409 εντάξεις έως σήμερα) και συνεχίστηκε με την Περιφέρεια Αττικής (258 εντάξεις). Στο πλαίσιο της δράσης «digi-retail», βρίσκεται σε πλήρη εξέλιξη και η αξιολόγηση επενδυτικών σχεδίων από ολόκληρη την Ελλάδα και ακολουθούν εντός των επόμενων εβδομάδων πρόσθετες εγκρίσεις επενδυτικών σχεδίων από τις υπόλοιπες Περιφέρειες. Η δράση «digi-retail» ενισχύει τις «ψηφιακές επενδύσεις» επιχειρήσεων λιανικής με σκοπό: α) τη βελτίωση της εσωτερικής διαχείρισης και τη μείωση του κόστους λειτουργίας, με αυτοματοποίηση των διαδικασιών διαχείρισης αποθήκης, πωλήσεων, αγορών και β) την ενίσχυση της εξωστρέφειας και την πρόσβαση σε νέα καταναλωτικά κοινά, αξιοποιώντας τις δυνατότητες της τεχνολογίας για την ηλεκτρονική τους προβολή και προώθηση. Στο πλαίσιο της δράσης «digi-retail» διατίθενται συνολικά πόροι του ΕΣΠΑ 2007-2013 ύψους 100 εκατ. ευρώ, προκειμένου να ενισχυθούν κατά 50% τεχνολογικές επενδύσεις συνολικού ύψους &euro200 εκατ. ευρώ από επιχειρήσεις λιανικής. Η δράση εντάσσεται στο πλαίσιο πολιτικών του Επιχειρησιακού Προγράμματος «Ψηφιακή Σύγκλιση», με τη συνδρομή πόρων όλων των ΠΕΠ και συγχρηματοδοτείται σε ποσοστό 85% από το Ευρωπαϊκό Ταμείο Περιφερειακής Ανάπτυξης και 15% από εθνικούς πόρους.